The Paniolo Ranch – Tucson brings a unique spin to guest ranches in the southwest. 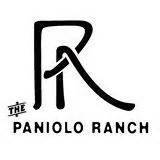 Paniolo Ranch is a fusion of Hawaiian ranch and the beauty of the Sonoran Desert surrounding Tucson AZ. The word “paniolo” actually means cowboy in Hawaiian. Paniolo Ranch is located on the west side of Tucson AZ just 20 minutes from downtown. This Tucson guest ranch is a gated luxury estate nestled in the foothills of the Tucson mountains. The Paniolo Guest Ranch offers overnight stays in a Bed and Breakfast setting as well as extended vacation lodging. The grounds of the Paniolo Ranch are positioned on 5 beautifully landscaped acres that create a pleasant and relaxing desert oasis for guests. Desert wildlife, cactus and plants abound. Paniolo Ranch – Tucson is adjacent to the Saguaro National Park – West. This picturesque location offers numerous hiking and biking trails and unparalleled bird watching opportunities. One room – the Aloha Room – is designed for nightly B & B rentals. Guests interested in longer stays will find the comfort of the South Pacific Room a perfect accommodation. There is also an old west bunk house style cabin for those awaiting a true western lifestyle stay. Paniolo Ranch provides horse facilities and a quiet platform that makes star gazing a must. The location of the Paniolo Ranch – Tucson makes it a perfect base of “day trips” to Tombstone, Mt. Lemmon, Tubac, Biosphere 2, the U of A and the many other “things to do in Tucson”. For visitors to Tucson AZ, the Paniolo Guest Ranch is a unique lodging experience and a great location to explore everything Tucson and Southern Arizona has to offer. For those considering a future home or winter retreat in which you can enjoy the Tucson lifestyle, we can help.